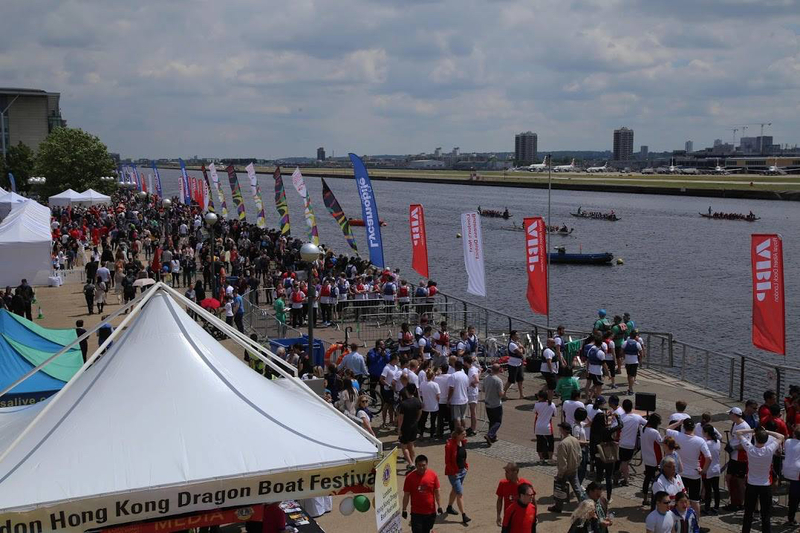 London Hong Kong Dragon Boat Festival is the largest dragon boat festival in Europe and takes place at London Regatta Centre on Sunday 25th June 2017 from 10am to 6pm. This year’s 22nd event takes on a special significance as it celebrates 20 years since the creation of the Hong Kong Special Administrative Region and is supported by Hong Kong Economic and Trade Officer, London (HKETO), who are the territory’s official representatives in the UK. The Dragon Boat day begins out on the water with over 40 competing clubs, both corporate and amateur, doing battle for 6 cups and top honours. 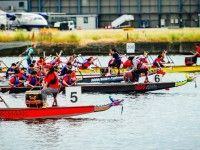 Race teams comprising of 16-20 people, each take part in 3 heats with boats and drums provided. Anyone wishing to take a break from race watching on the water, this year’s land based events offer a cool distraction. The South East Asian food festival promotes each of the culinary tastes of the region, to enjoy with entertainment including live music on the East West Festival stage, featuring new artists from martial arts displays from YouTube sensation Master Wong and others, and traditional Chinese lion dancing. The free event is perfect for people of all ages, whether coming for lunch and watching the racing or listening to the race commentary provided, watching the live music and the now famous ‘Dotting the eyes ceremony’ with Lion Dancing, the family-friendly event is expected to attract up to 10,000 visitors from across the UK and overseas. The food festival offers a taste of South East Asia, which this year includes delicious bao buns at the boss of Banh Mi, Bite Mi; Cà Phê VN Saigon Street Cafe – named as one of the best coffee shops in London and featuring the finest Vietnamese coffee outside of Ho Chi Minh, Mei Mei’s street Cart – the first Jianbing in the UK selling proper Chinese comfort food, Canaan Taiwan Xiao-chi – East London’s Taiwanese cuisine shop, pioneers of popcorn chicken and rice pudding cake in the UK, Newdlez Pad Thai – freshly fried Thai cuisine at its best, Pochi, Japanese street food, introducing Soboro style rice dishes; Lion City Kitchen brings the comforting flavours of modern Singaporean street food to London using free range meat and quality ingredients; Hanoi Kitchen – authentic Vietnamese food, Malaysian Kitchen Enak Enak, and Ajinomoto Foods Europe, Jerk Spice offering a Caribbean alternative with recipes passed down from generation to generation, Churros London – fried dough pastry sticks with chocolate dipping sauce, and handmade Italian ice creams from the vintage Surrey Ices truck. Artisanal beverage company Fentimans will be hosting Fentimans Botanical Bar. Their award-winning drinks including famous ginger beer are handcrafted using the Fentiman family’s 100 years of knowledge of botanical brewing. Live music on the East West Festival stage, presented by DJ Alice from Spectrum radio are new and breaking talent and entertainers including BBC Introducing supported indie pop band The Atmospherics, award-winner Brits School DJ Crhis Gadd, and YouTube superstar martial artist Master Wang who currently has 1,115,000 Youtube subscribers and over 150 views on his channel and is loved for his brutally honest trutorials. 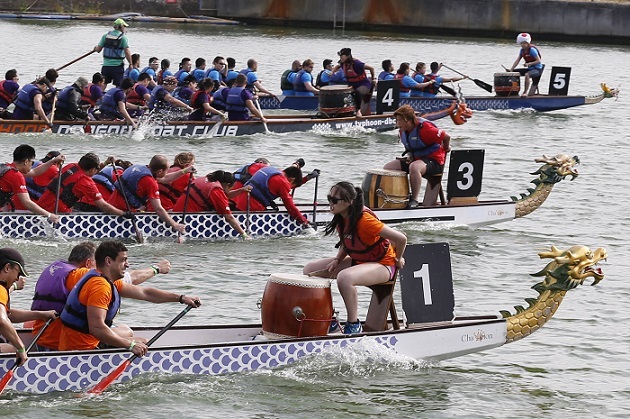 London Hong Kong Dragon Boat Festival provides an excellent opportunity to experience Chinese culture in the British capital. Organised by London Chinatown Lions Club, the fund-raising event donates proceeds to the club’s nominated charities, and is supported by Hong Kong Economic & Trade Office, London, The Hong Kong Executives Club and The Chinese Community Centre. There is also a raffle draw with fantastic prizes including a pair of return flights to Hong Kong courtesy of Cathay Pacific and dinner for two at Hutong at The Shard.